These are trying times for investors holding real estate equities and real estate mutual funds. Real estate has one of the smallest sector weights in the S&P 500, but it is also one of its worst offenders this year. Some real estate mutual funds have been hampered by large allocations to retail estate investment trusts (REITs), one of the most vulnerable corners of the broader real estate universe. Many traditional brick-and-mortar retailers are struggling. Some are going out of business, while others are rapidly closing locations, pinching REITs that own malls and other retail space. Additionally, the real estate sector is historically inversely correlated to rising interest rates. The Federal Reserve has boosted interest rates five times since the start of 2017, including twice this year. Some bond market observers believe there are two more rate hikes in store before the end of 2018. For income-minded investors looking for value in the sector, here are four of the best real estate mutual funds to consider. Expense ratio: 0.26% per year, or $26 on a $10,000 investment. The Vanguard Real Estate Index Fund (VGSIX) is an index fund, not an actively managed real estate mutual fund, but this is one of the more venerable choices for investors looking for a cost-efficient entry into the real estate space. VGSIX does, however, require a minimum investment of $3,000. This fund’s underlying index devotes over 27% of its weight to specialized REITs, 15.60% to retail REITs and 14% to residential REITs. This real estate mutual fund holds 186 stocks with a median market value of $11.5 billion, putting it just outside of mid-cap territory. Expense ratio: 0.73% annually, or $73 on a $10,000 investment. With $5.82 billion in assets under management, the T. Rowe Price Real Estate Fund (TRREX) is a behemoth among actively managed real estate mutual funds. The fund, which requires a minimum investment of $2,500, has beaten its Lipper average over the past five years, 10 years and since inception. “But over the long run, the fund has achieved very strong returns. On top of all that, it’s one of the cheapest actively managed funds in the category,” said Morningstar. This real estate mutual fund is highly focused relative to some of the passively managed funds it competes against. As of the end of May, TRREX had just 39 holdings. A turnover rate of just 6.4% can keep costs incurred by investors low while emphasizing the manager’s high-conviction approach. Expense ratio: 0.97% per year, or $97 on a $10,000 investment. The Cohen & Steers Realty Shares Fund (CSRSX) is one of the original actively managed real estate mutual funds, and investors are in good hands here because Cohen & Steers specializes in real estate investments. CSRSX has four-star Morningstar ratings overall and over the trailing three-, five- and 10-year periods. “Despite having one of the biggest asset bases in its Morningstar domestic real estate category, the fund has posted competitive results over trailing periods of three years or more. That’s a credit to a strong management team,” said Morningstar. CSRSX is another example of a highly focused real estate mutual fund. As of the end of the first quarter, the fund had just 44 holdings. Office, apartment and data-center REITs combine for 43% of the fund’s weight. None of CSRSX’s holdings command weights north of 5.20%. Expenses: 1.50% per year, or $150 on a $10,000 investment. The Phocas Real Estate Fund (PHREX) requires a minimum investment of $5,000, but over the past five years, only a handful of real estate mutual funds have outperformed PHREX. This real estate mutual fund invests in “companies of any size market capitalization which own, manage and invest in underlying real estate assets, such as offices, industrial properties, retail, malls, shopping centers, apartments, lodging, storage and specialty and health care facilities,” according to U.S. News. PHREX carries a four-star Morningstar rating. The fund’s two managers each have 12 years of experience managing PHREX. This real estate mutual fund’s holdings have an average market capitalization of $5.70 billion putting this fund in the mid-cap group. 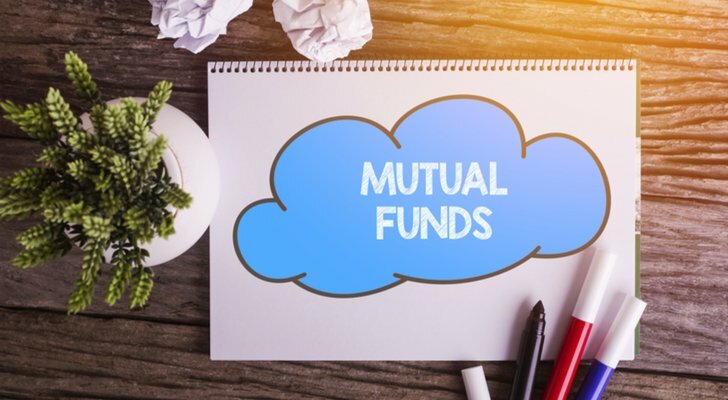 Article printed from InvestorPlace Media, https://investorplace.com/2018/06/the-4-best-real-estate-mutual-funds-for-income-investors/.